But why is it seems to me that you’re coming. Not something you do not expect. I want to speak a few words with you. It seems to me that you’re leaving everything in one day, suddenly, he’s come up and come with me. Recent attempts to reach a life. Sirud memories are like the candles. Want to give a light to my heart, mind, my life path. But something happened to me really. And now, thank God, I have been peaceful. I like a lot and then becalmed sea storm. I’m on vacation. -Kez I love, my dear mother. You just do not see sorrow. You will stay in my heart. My whole life, my gentle mother. Who needs superheroes, when you have a brother ! You hold my hand when I stumble along.. When success kisses my feet.. When things go sour and I feel blue..
You are there for me in times, good and bad.. P.S. : This post is a dedicate from my sister brother and my friend Himali Shah:) Thank you for being my super hero! 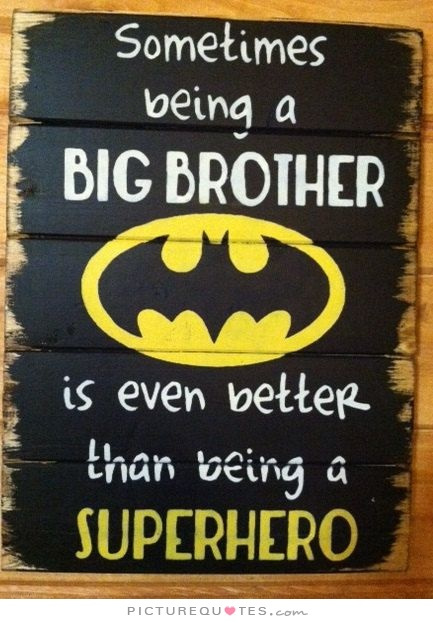 19 Comments Who needs superheroes, when you have a brother !